Weather: Very changeable. Intermittent rain throughout, the odd spell of sunshine, warm and cold. It was more clearing and continuing to make the place look spick and span, including cleaning up plants for sale and making sure they were at their best. 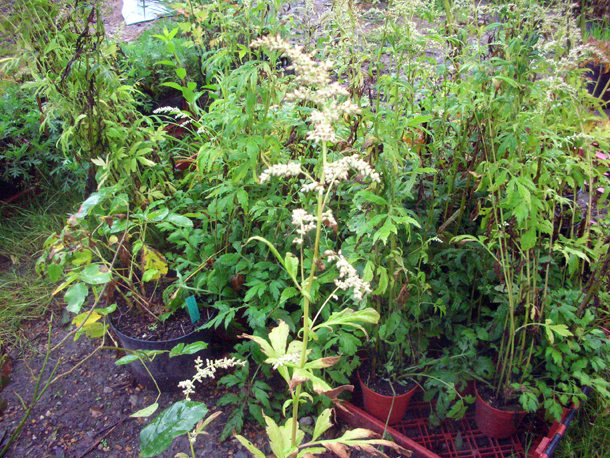 One of them was Artemisia lactiflora - the only wormwood plant grown for it flowers as well as for its foliage. Apparently it fares better having been grown in dry sandy soil and is hardier for it.